I already reviewed the eyeshadow palette I got from the same collection here. 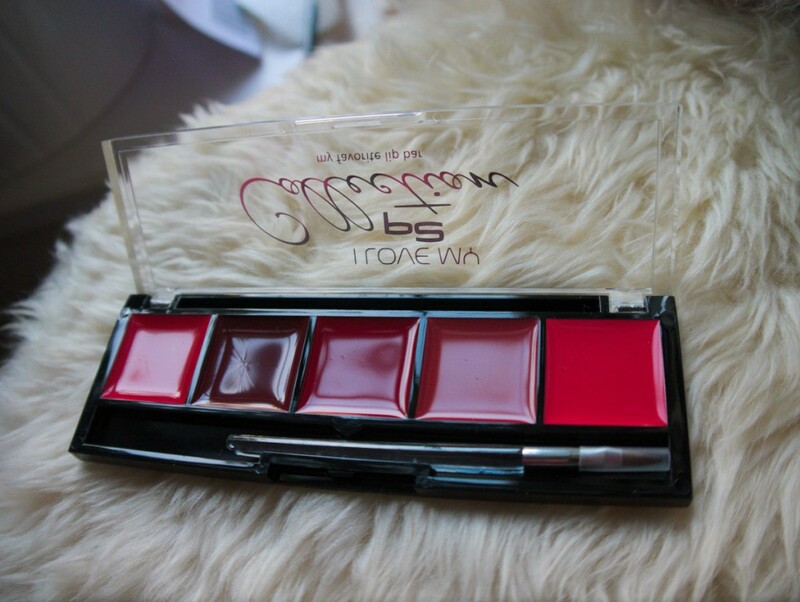 As is true for the eye palette I quite enjoy wearing these lip colours as they have good colour payoff and intensity. While there were three palettes to choose from in the LE I decided to go for the red one – delight pinks and delight nudes being the other two options. 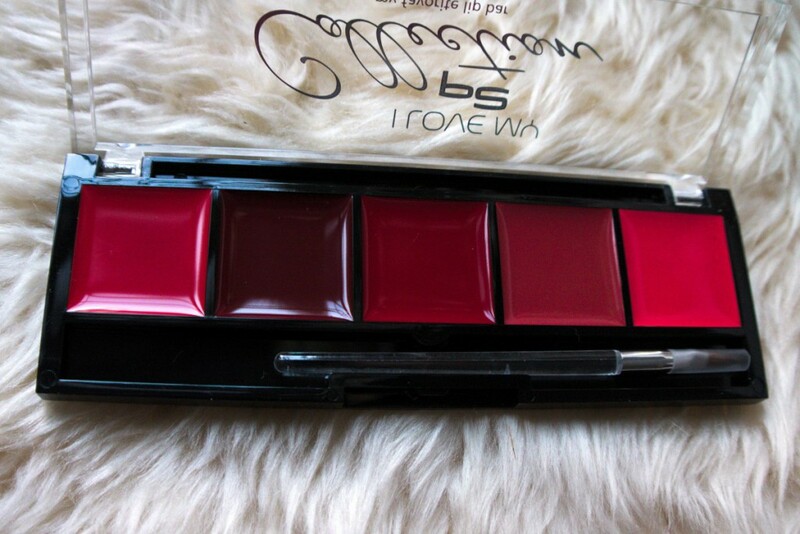 The Colours: The palette contains five colours ranging from a light bright red, marsala, classic lipstick red, a rosewood red and a bright red with pink undertones (from left to right). The colour intensity is high with good pigmentation. The Texture: Surprisingly, the colours have a creamy, relatively soft texture that is best applied with a lip brush. 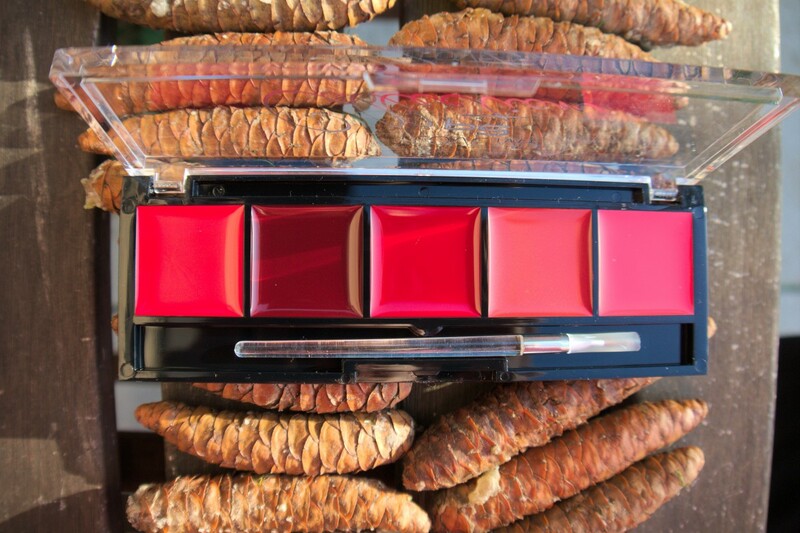 There is a fine lip brush included in the palette which is very handy if you don’t have one already. The wearability is great as the colours are really quite long-lasting considering the soft texture. Plus, the texture allows for a shiny finish so there’s no need to add gloss afterwards. 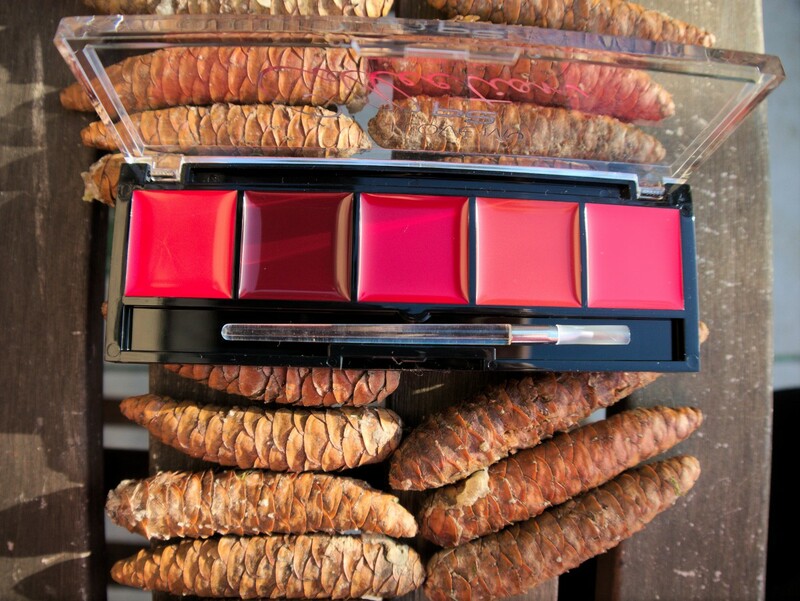 Verdict: All in all, the colours in this lip palette are quite glamorous and bold. If you like a statement lip colour this is definitely for you. I’m personally very happy that I purchased this palette and am using it quite a bit these days. Bright colours are great for brightening up these cold winter days! In retrospect, it’s a pity I didn’t get more palettes from this LE. At a bargain of €4,25 they are really good quality. The marsala looks lovely. They all look super rich! Looking forward to seeing them on you. Thank you :) Hope you have a great day! thank you for your kind words about Dakota! That was so sweet! I am trying to follow your blog via email, but don’t see a way to do so. 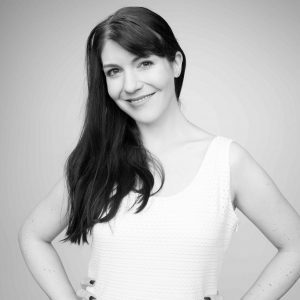 Thank you for stopping by :) You have a lovely blog! I’m sorry the widgets didn’t work – there seem to have been some updates necessary after migrating to a new domain. Thanks for letting me know! I have fixed that now. four pounds is really a bargain for such a great palette! The shades all look lovely! It looks like a great little kit!